What exactly is a portrait session? A portrait session is a 3 hour pampering session where you will get to choose from my studio wardrobe, or get wardrobe styling on the clothes you do have, get professional hair and makeup, and a 1.5 hour photography session either indoor at my Madison studio or outdoor. Are you terrified of being photographed? As a society, the advertising industry has done an incredible job to lower the self esteem of every single woman on the planet. I’m here to tell you that you deserve to feel beautiful and loved right now, TODAY regardless of how much weight you want to lose or that you’ve already convinced yourself that you shouldn’t exist in photos. You deserve to feel beautiful and experience a model like session. This is what I provide. Who doesn’t like to know what it would be like to have a photo shoot like a model? That’s every woman’s dream right? Well let’s get you in the calendar, with beautiful dresses, hair and makeup, I can make you feel how you SHOULD feel every single day, because you are beautiful and you deserve it. Professional hair, makeup, lingerie or more risque dresses are all provided so there is no need to worry about spending additional money for the session. All session fees include hair and makeup. Wedding Planning is stressful, but what’s even MORE stressful than wedding planning is trying to please both sides of the family. If you consider yourself in this category or you don’t have a large family and don’t care for the large party experience I would highly suggest an eloping and here’s why. Eloping doesn’t have the same meaning it did back in years past. Here’s the old school definition of eloping: noun: an act or instance of running off secretly, as to be married. Elopement doesn’t carry the same meaning so much nowadays. It simply means that you want to have a small intimate ceremony with just your parents and witnesses or just the two of you. Low cost. Compared to that of paying for all the flowers, food, dresses, decor, you can put it into your own outfits, and saving it for travelling to a destination to do the ceremony, in addition you’ll have some left over to travel afterwards! Cutting out potential drama. Only you know your family, but in many instances, this solution of having an elopement actually saves relationships that might be strained with wedding planning. You love to travel. So simple. You love to travel and you want to get married in one of your favorite spots in the world. Elope! It’s significantly easier to plan for just 3 people than 300 if you’re doing it in a different country. You can always have a reception party at home after you return from your elopement. Want the party without the all the formal details? Host a reception party when you come home! Have the absolute time of your life with the most incredible memories that you could only dream of. Don’t limit your reality to just your dreams. Eloping is so simple, and yet so intimate. I love elopements because the emotion you feel could be cut with a knife in the air. It’s so intense, and so amazing. I know you can envision it as I write this. With just the focus on the two of you and the love you have, it makes for amazing memories and amazing images. Quick note: Just don’t pick a spot that you’ve seen from Instagram or Pinterest. Go with a location that means the most to you and your partner, because it’s about your relationship, not what’s trending right now on social media! I’m not suggestion you go break the law, that’s not the type of rules we are talking about right now. Have you ever asked yourself why it is that slimmer girls appear to get more likes and more popular faster on social media? Have you ever asked yourself why as moms we think we have to do all these things that other moms are doing in order to be a “good mom”? Have you ever asked yourself why you feel like crap after you go on social media? It’s time to put a stop to being compared, feeling lesser than, feeling like an outcast because of your body type. Say F it to ALL OF IT and let’s get empowered together. I started reading the book “Braving the wilderness” by Brene Brown last week and boy, it’s summarized what I’ve been trying to accomplish over the last year. Why am I me? What does being me even mean? What is my mission in life? What am I suppose to share with others and how am I supposed to help others? How do I be me without letting fear and anxiety of become that amazing person take over? We as humans are afraid of change, even if that change means that the most amazing things in our world are going to happen. Why can’t we be like little kids and just go for it so fast without stopping and thinking about it for years? Take small steps, you must get outside of your comfort zone in order to be this amazing person, great things don’t come without some form of discomfort. Discomfort is not a bad thing! I hope that this words today help you in some way, I hope that they inspire you to be amazing person you’re called to be. Reach inside your soul, listen and jump. Do that every single day. Miriam Bulcher is a local Madison, Sun Prairie, Middleton, luxury portrait photographer. She specializes in a full service portrait studio experience to empower men and women by offering in home wardrobe consultations, professional hair, makeup, and vogue like photoshoot. She services all of Madison as well as Milwaukee, Chicago, Iowa and beyond! With all the options out there regarding wedding planning in its entirety, searching anything for google would be enough to send you into an anxiety attack. Which is why I write this blog, if you are a bride of mine or a fan, I’m here to make your life easier so you don’t have to go weeding through google and preventing those panic attacks! Joe over at https://foreverweddingfavors.com/ sent me some super adorable wedding favors that actually look cute. I’m here to tell you all that the variety you will find on that site is amazing, you’ll be sure to find something for your guests. How cute is that cabernet sauvignon bottle? It’s a corkscrew to open your wine! So dang cute. 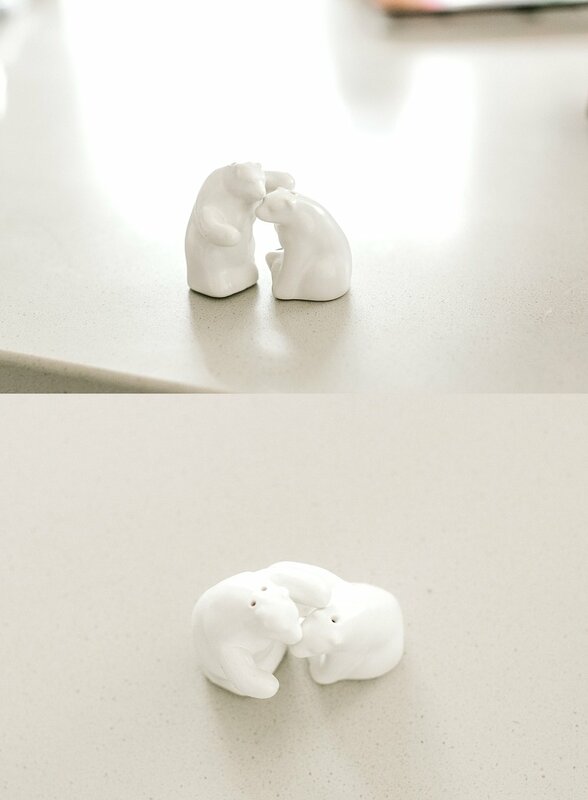 I for one, will for sure be putting to use these salt and pepper shakers on my dining room table. Can you believe how fast 2019 is flying by? It’s the end of the school year in a couple months and that means that the graduating class of 2020 is coming up soon! Sorry parents, I’m sure that is terrifying you, BUT, I’m here to help! Did you read that right? You might need to read that again. How FUN is that?! Getting to be a model for a day is almost every high school girl’s dream and i’m here to make it come true. Scroll down to see what it ALL INCLUDED in these sessions! Start the day off with a manicure and pedicure that’s included in the cost of the session! Photo shoot both inside and outside, your choice! Outdoor can be up to 4 locations. Don’t miss out on scheduling this session! I’m so excited to be offering this because it is an amazing experience and will create incredible lasting memories. It’s time to start thinking now what you’re going to gift the mom or grandmother in your life! They’ve worked so hard and maybe they still are working hard for you. Raising humans is no easy task and I’m here to help you solve your Mother’s Day Gift dilemma! Celebrity like photoshoot including posing for your body type so that you LOVE your photos. My photography studio is located in Madison, WI and it’s the perfect place for a girls day out if you want to bring your daughter, sister or best friend! You can also view more information about this Mother’s Day photo shoot here. It’s a crucial and very necessary question. Yet, probably one you wouldn’t have thought to ask but I’m here to help! I had a situation come up recently where I had to go back into my archives and get photos for clients, ones that were not delivered. I’ve heard too many horror stories from other friends, acquaintainces and clients friends about wedding photographers and I really want to eliminate any of those scenarios happening to you, which is why I am bringing you this video today! Storage is a huge part of a photographer’s life .It’s expensive, but SO NECESSARY. Especially because I warranty my clients their photos for life and for the “just in case” terrible scenarios that nobody wants to happen but do happen sometimes. Watch for more information on why you should be asking your wedding photographer at the consultation, how they handle storing photos. I hope this helps all brides who haven’t booked their photographer yet and are currently in consultations with photographers. I personally think this is one of the most important questions you could ask in a consultation! Share this with a friend who is also looking for a wedding photographer! Julie has been following me for a while on my facebook and reached out to me in November when I had a black friday special. She really wanted to do photos not just for herself but for her daughter too! She wanted to create some beautiful memories that she could share with her daughter not just now, but for forever and pass them onto her as a momento. She was excited to make a day trip to Madison from the Quad Cities and spend some quality time with her daughter at my photo studio. Julie was especially excited for the professional hair and makeup, it’s included with each session so that you feel pampered and good about yourself, cause it shows in the photographs! Whenever a client is so excited for their hair and makeup it makes me even more excited too, there can never be enough joy for getting your photos taken! After hair and makeup we looked at wardrobe, Julie brought a few things with her from home but she was really interested in my studio wardrobe. After digging around she decided on a GORGEOUS green dress that fit her perfectly and made her photos look so amazing! Thank you so much Julie for choosing me to photograph you and your beautiful daughter! I am going to be posting a special soon for mother/daughter or grandmother photo sessions for Mother’s Day! If you are interested, please stay keep an eye on the blog and my facebook page!